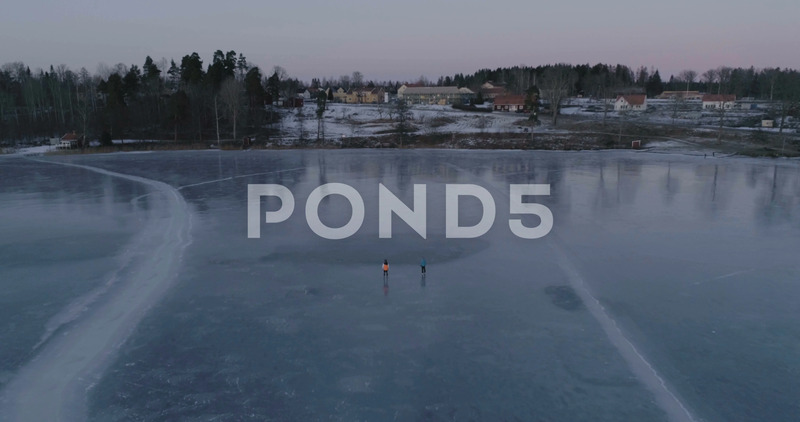 Description: Beautiful aerial video of frozen ice lake in Sweden, Scandinavia. Nice nature and landscape on winter dusk evening. Lovely outdoors at sunset shoot with drone from above in sky. Calm and peaceful.